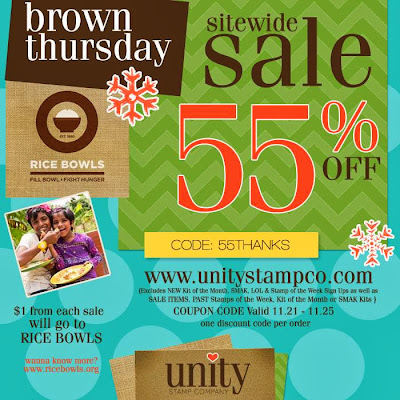 My Thoughts Exactly Stamps: Unity Hop - Big News!! Unity Hop - Big News!! You're here!->Alyssa Bennett <-You're here! Can you guess what's so amazing about them? Yep! They're designed by ME!! I am SO excited to be joining the Unity family as an Artista! For my first card I whipped out the Hello Little One set. 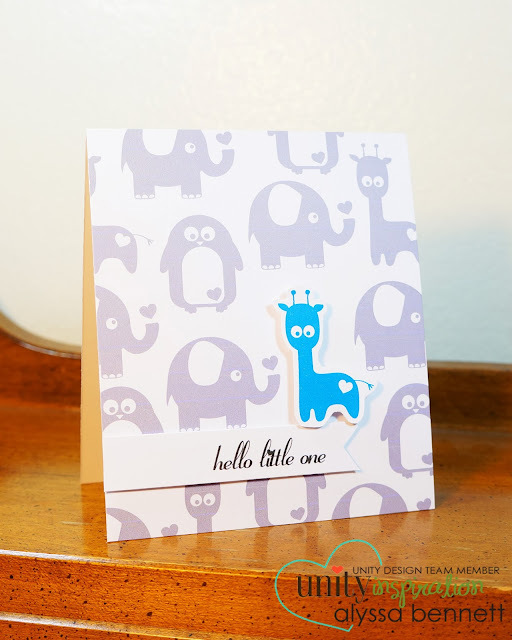 Aren't these cuties just perfect for a baby card?! Next, I pulled out Candy Hearts. 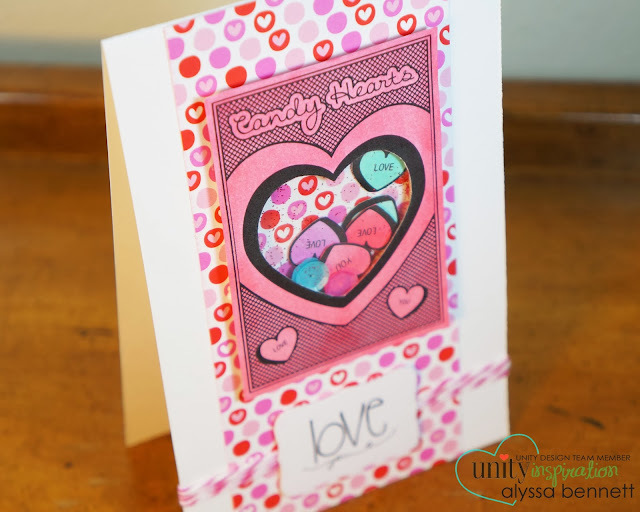 And if you know me at all, you know I couldn't resist creating a shaker card with that candy heart box! Eeee I just love them! AND each set is on SALE for only $4.95! 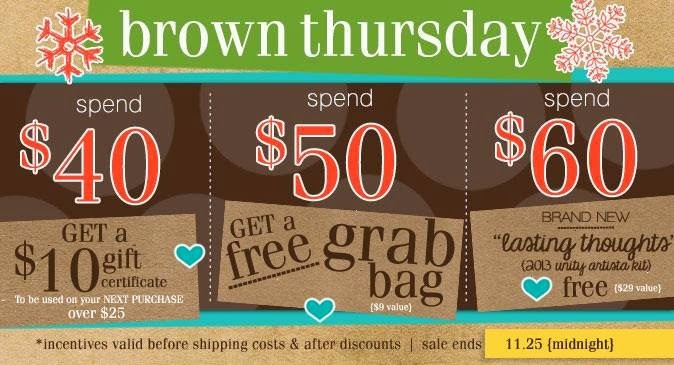 So you can grab all 3 for less than $15!! 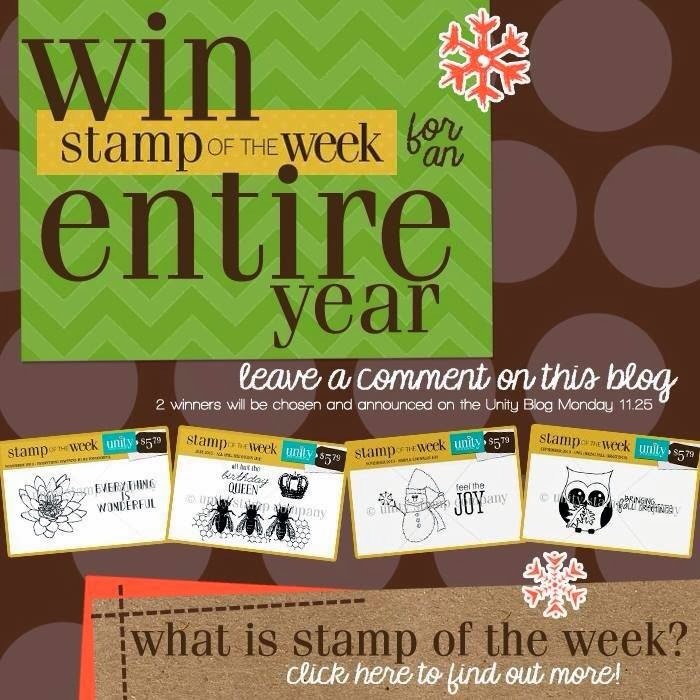 Leave a comment on EVERY blog along the way to be entered!! Congratulations on becoming a Unity Artista! Love your images! Congrats on your new sets, Alyssa! Your cards are adorable. Oh my Gosh, your cards are so cute!!! And we are SO glad you joined the Unity design team...must have your new sets!! So cute...love the hexagon set! Congrats on being at Artista! You are flying high, Girlie! Love your cards, especially the shaker one! Oh Oh Oh, love them all. So cute! I love that giraffe he is adorable. I absolutely LOVE the "hello little one" stamp set and the card you made!! Definitely getting this set. Congrats Alyssa! Adorable baby card and soooooo sweet candy heart shaker card. LOVE them. love, Love, LOVE the baby set! These are just DARLING! Can't WAIT to get my hands on that baby set!!! Love the hexies!!! I'm quilting hexies and stamping hexies....and then you added a penguin-I'm in love. Thank you for sharing such wonderful creations with us! Both theses cards are phenomenal but that baby one just melts my heart!!!! I adore the cards you made AND your new stamp sets! Love the giraffe card. I bought all the supplies to make shaker cards a few months ago, so I'm excited to see today's idea on your blog! Lovely, especially the shaker card! Wow!! Awesome news!! Congrats!! The new sets and cards are sooo cute!! Love your sentiment designs!!! They are FABULOUS!!!!!!!! Your cards are OUTSTANDING!!! Adorable!!! Alyssa, Welcome Aboard! 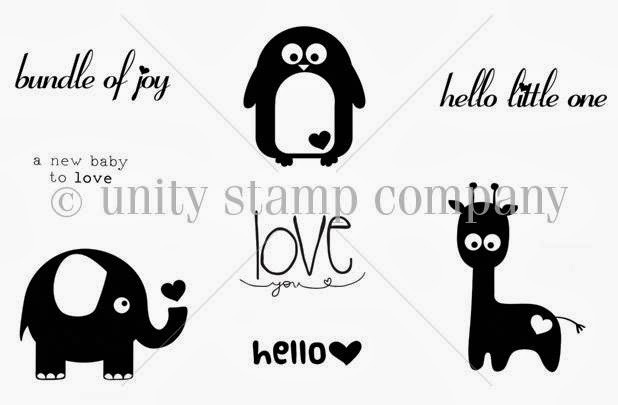 Your stamps are super cute, and I love the darling giraffe! I especially love the surprised look on his face and his darling little tail. These would be great on some onesies! Super cute sets! I love the hexagon patterns. Wow what amazing cards. I love the shaker one. Great Cards and welcome as a new Artista at Unity. Love the shaker box. The first card is totally adorable, and the second is totally scrumptious! Congrats on becoming a Unity Artista!!! Love your adorable stamps and the cards you created with them! Congrats on your release Alyssa. Love all 3 of your new kits...super-sweet designs. Great cards highlighting the images. 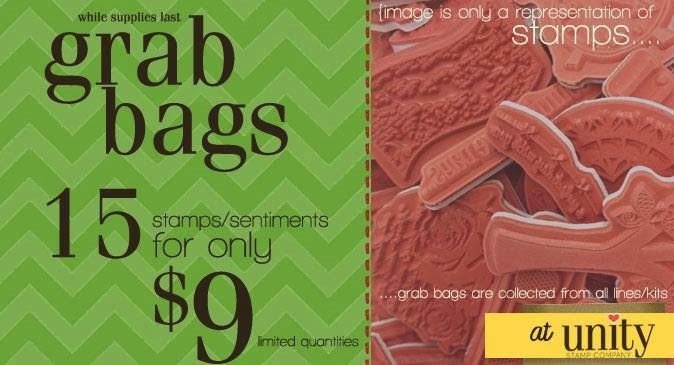 Your new stamps are super cute, love the candy hearts box!! Beautiful cards! That Little One card is just so stinking cute. Congrats on your new stamp sets! I love them all and your cards are adorable! I love the sweet baby card...the background is perfect. 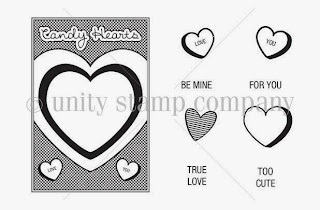 I love shaker cards, and how perfect are the candy hearts. Those Hexagons will come in handy. Great images...You will be a great asset to the Unity Team. How exciting to see you designing for Unity! I have always loved your stamps! These look familiar!! :) Love the baby set!! Congratulations! :) Love the baby card! Wow! More exciting news from you, such cute designs, I am loving that last animal set and your cards are wonderful! Your card is too cute and I love the new sets! Welcome to Unity! Congrats on becoming a Unity Artista!! Your cards, and stamps, are wonderful! Congratulations! So very happy for you! Your designs are fantastic! Great cards! Looking forward to many more wonderful stamps from you! Alyssa, your cards are awesome!! I was wondering how to make a card with the baby stamps and you make it look so easy. Girl, you'll have to post a tutorial on how to do the candy hearts - I love it!! Thanks for the inspiration! Lovin' your colors!!!! And your layouts!!!! All your stamps are super cute! Love your heart shaker card!! WOW! Love your sets! Congrats! Great cards, too!! YIPPEE!!! Your sets and cards are adorable! LOVE the "bee happy" New set!! AND LOVE noth cards! My goodness I am so very glad you made the baby set! All of the stamps are awesome and you can best believe they are all coming to live at my house! AWESOME! I love your cards! Thank you for making awesome stamps so we can make beautiful cards! Your sets are great! I love elephants and giraffes and your card is one of my favorites ever! Totally in love with "Hello Little One" It is so darling. Those animal stamps are super Cute! Love it. The shaker card is wonderful I really need to give one of those a try one day soon. Your cards are amazing and I especially love the baby card! The stamps are darling and my favorite of the cards is the shaker one with the hearts. So cute! Congrats on being an artista. Love the candied hearts. Congratulations on your new Unity releases, Alyssa! The stamp sets are adorable and yes, I already bought them all! Thanks for your wonderful inspiration! The new releases are inspiring. I especially like the shaker box hearts. Those candy hearts are too sweet!!!!!! Your cards are so stinkin' cute! Love the giraffe - so pops! And the candy hearts are just awesome! i love your new designs and your cute cards! Welcome! Such sweet little sets, you are talented and I look forward to seeing more of your designs. What cute sets- congrats! The baby card is simple but very sweet. Like that kind. The hearts one is very cute too. I like how you made the candy box - filled. Very 'sweet'. 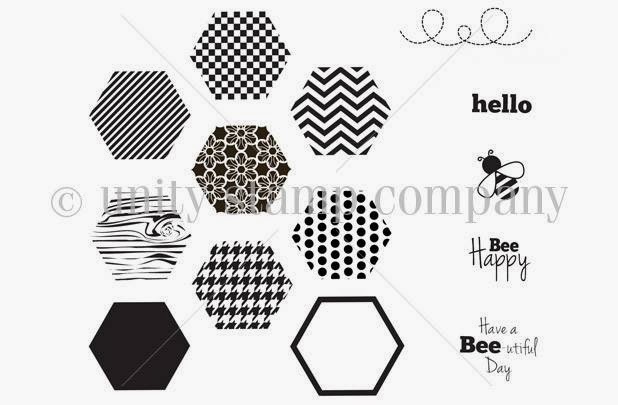 Also like the hexagons with the little 'bee' stamps. Your stamps, and cards, are adorable! The cards are just too blasted cute! Those are really beautiful cards. Love them. Congrats on your fun designs! Love the cards! 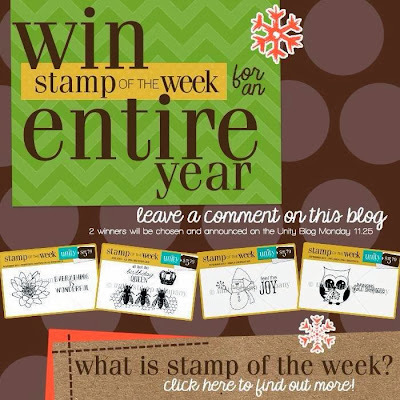 Love the stamp set designs, Alyssa! I got Bee Happy Hexagons & Hello Little One. Can't wait to use them! Love the cards you made too! Thanks so much for sharing! Adorable cards Alyssa!! And congratulations on the new sets and in becoming the newest designer for Unity! The sets are so adorable! I have them in my cart already!! Hugs! Congratulations on all your incredibly wonderful accomplishments! I feel like a proud mom/grandma and have never been to your blog before. Just so happy for you. You will have an amazing journey ahead of you - enjoy every moment. Thank you for participating in this mega blog hop!! !